Eek! Halloween is going to be here soon and I’m so excited. Tricks and treats, please! 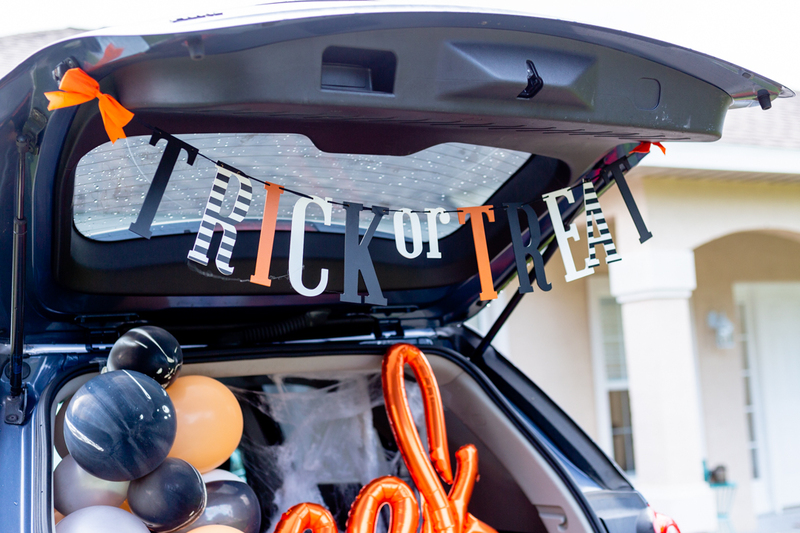 Today, I have something that is more of a treat with these easy trunk or treat ideas. 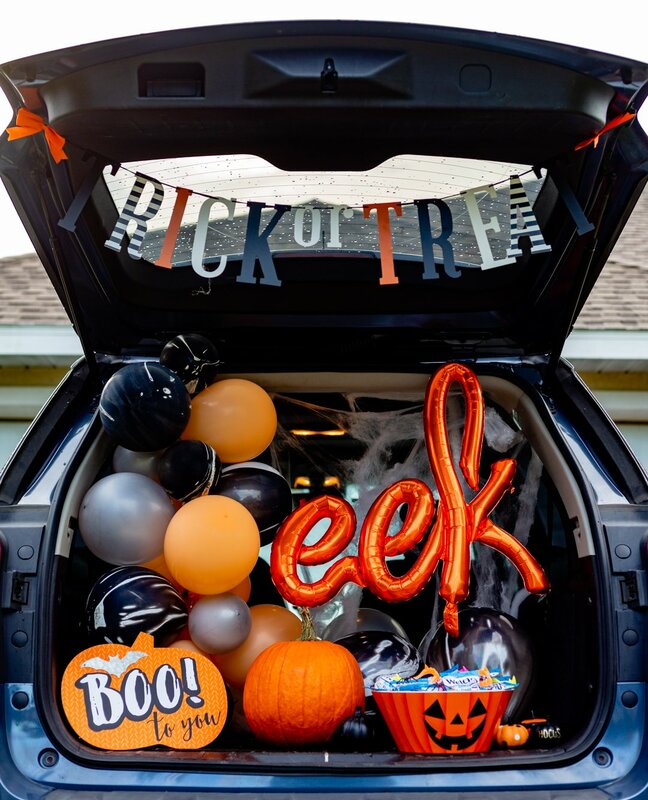 I’m excited to show you how to decorate your trunk with Welch’s® Halloween Fruit Snacks for an extra festive Halloween this year! This is a sponsored post by Welch’s® Fruit Snacks, all opinions are my own. It’s generally an organized night where trick-or-treating is done from the back of cars/vehicles usually in a parking lot. It’s a safe way for families to have fun and is often done in addition to regular trick or treating on Halloween night. 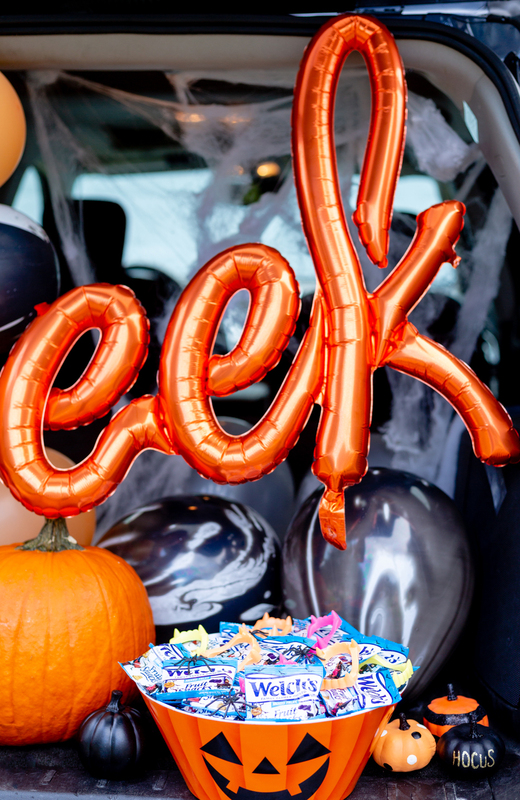 Many people really get into it and go out of their way to decorate their vehicles with festive themes and if they want to take it to the next level, they will even dress up to match. Most importantly, each vehicle gives away Halloween treats like traditional trick-or-treating and sometimes something extra special. 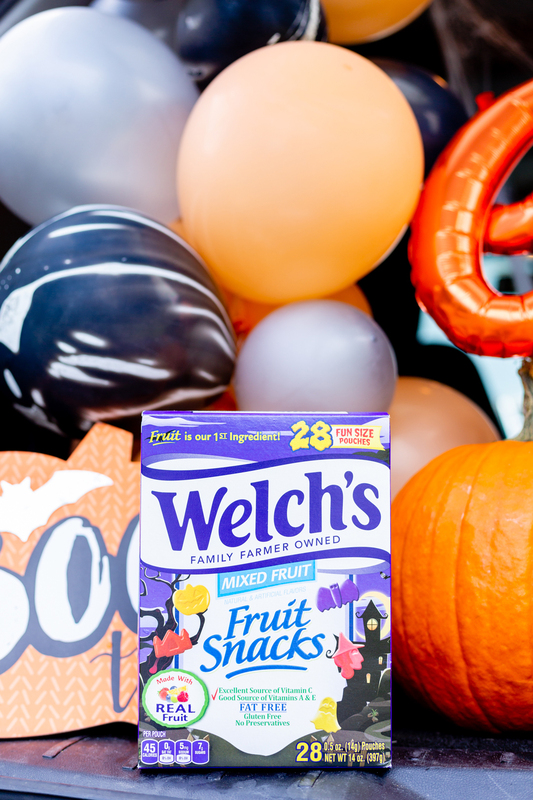 That’s where Welch’s® Halloween Fruit Snacks come into play! With fun Halloween themed packaging, you can’t go wrong. 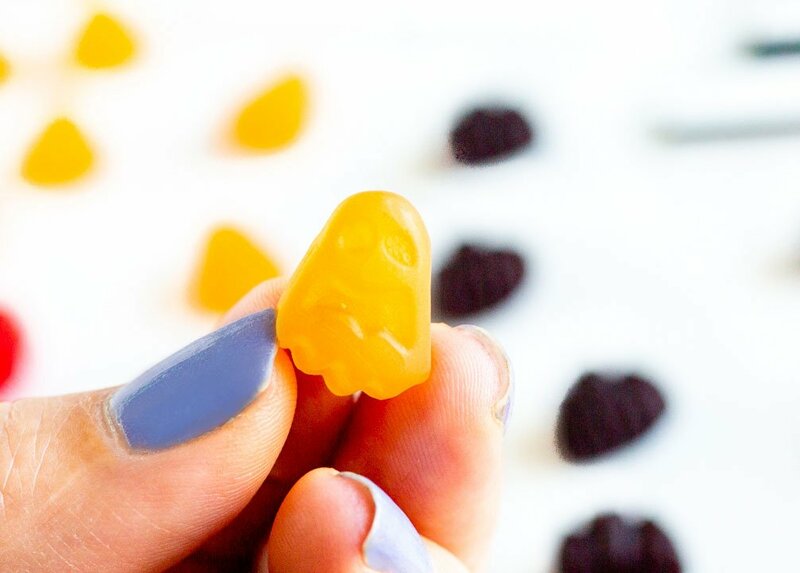 This year, everyone is going to love this special treat because these fruit snacks are made with real fruit and include holiday shapes including bats, witches, ghosts, haunted castles and pumpkins. They’re basically the cutest. Instant love! When I opened the pouch, this classic treat instantly brought me back to my childhood. 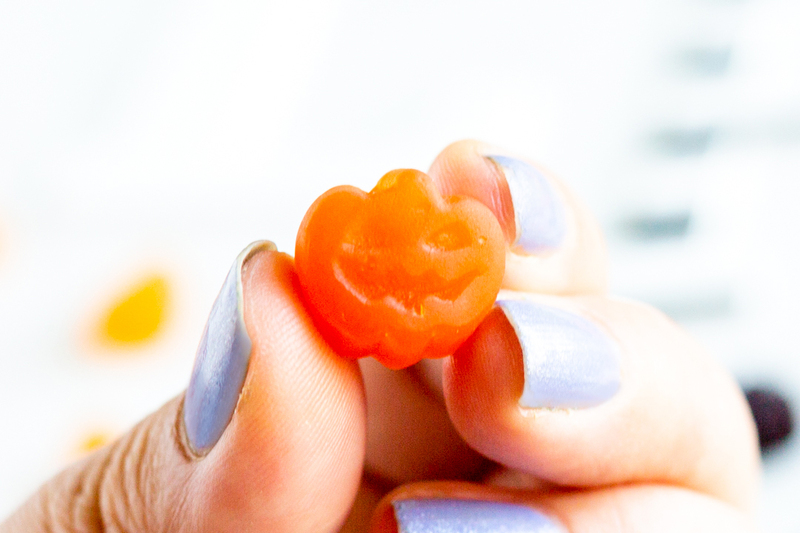 Today’s fun ideas are all about the Halloween season and memory making. 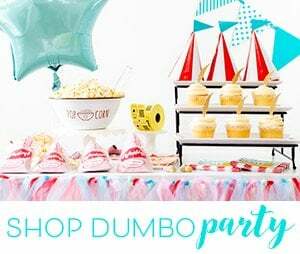 The special decorations and treats that you choose set the scene and help to form positive memories for everyone. That’s really why I love going the extra mile while still keeping it easy and simple at the same time. Let’s go over some quick tips on how to make your vehicle stand out this season! To make your decorations stand out, bigger is better. 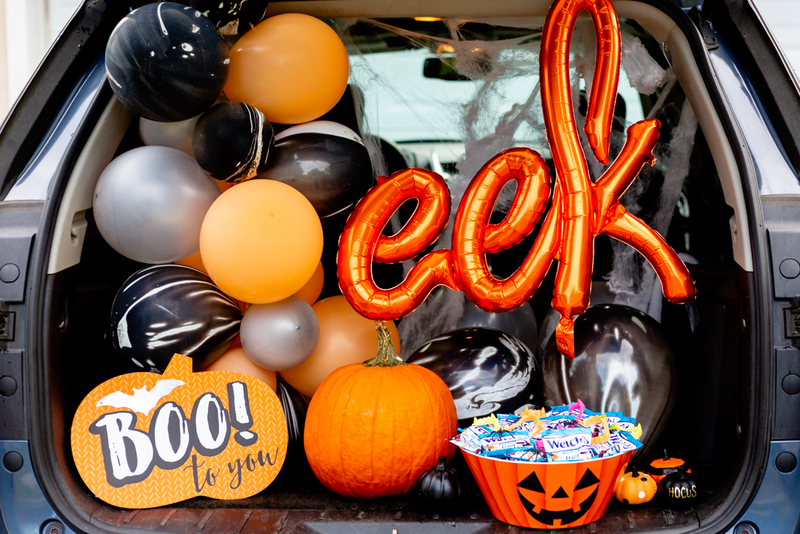 A great way to add a lot of cuteness without blowing your budget is to use banner, balloons and faux spider webs. I absolutely fell in love with this “eek” balloon and used it as the main focus point of the decor. 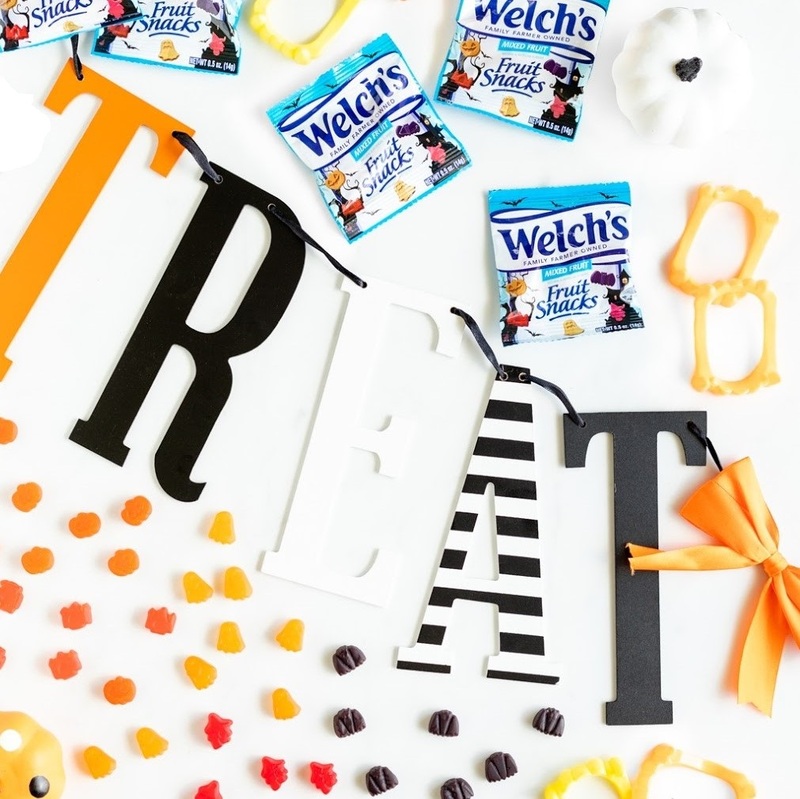 Welch’s® Halloween Fruit Snacks are perfect for trick or treating. 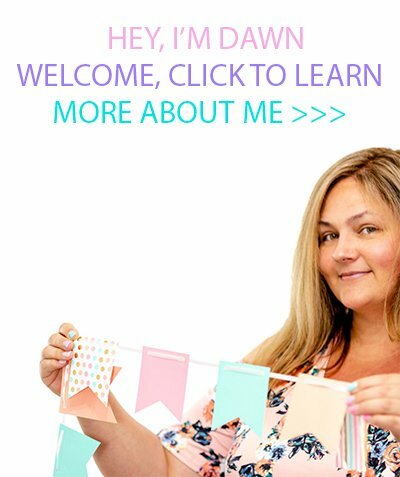 Everyone will love them and you can feel great about offering them up. Fruit is the first ingredient and as an added bonus, they’re also gluten-free and fat-free. Plus, they also have no preservatives! 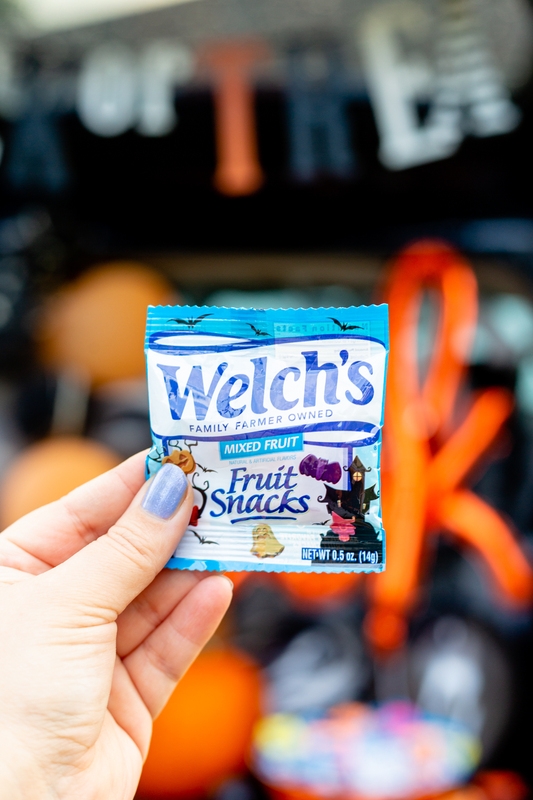 Don’t forget a big bowl to hold your Welch’s® Halloween Fruit Snacks for trunk or treat and trick or treating, too! 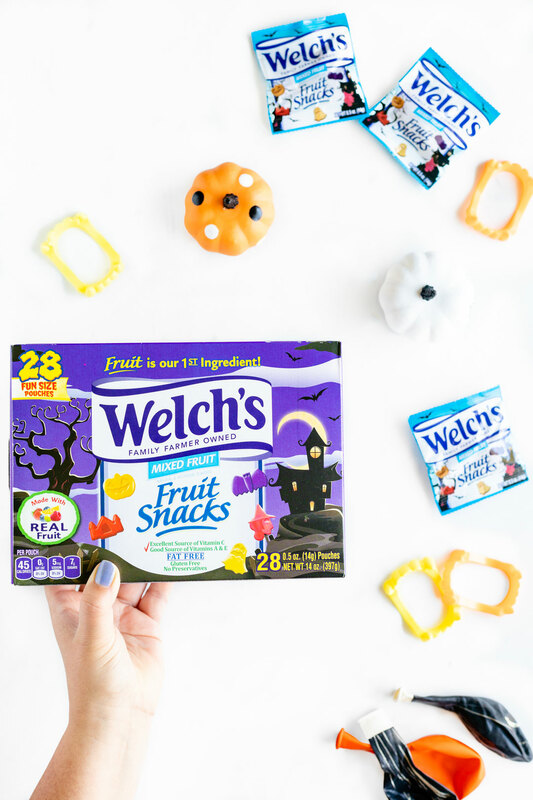 Welch’s® Halloween Fruit Snacks are available nationwide at Walmart, Target, Walgreens, Dollar General or online at Boxed.com so go stock up now! Get more inspired Halloween ideas and share yours with the hashtag #WFSHalloween!